The proposed rezoning would permit the development of four mixed-use buildings and one commercial building across the street from Pier 40. On August 24, 2016, the City Planning Commission held a public hearing on an application for a zoning text amendment, a zoning map change, four special permits, three authorizations, and one chairperson certification to facilitate the redevelopment of the commercial building at 550 Washington Street, in Manhattan’s Greenwich Village. The project would create three separate city blocks for the five proposed buildings. There would be two buildings each in the northern and central blocks, all being mixed-use, and the fifth building would cover the entire southern lot and remain zoned for office or hotel space. Currently the four-story St. John’s Terminal Building occupies the site. The Terminal spans three city blocks, stretching over 800 feet along West Street, and consists of 1.3 million square feet of floor space. The Terminal once operated as a waterfront shipping facility, but was turned into an office building in the 1960s. It remained this way until 2013 when real estate mogul Eugene Grant sold his controlling stake, 50.1 percent, to the other owners of the property, allowing the redevelopment plans to go forward. The approval of the application by the City would also serve as a precondition for the transfer of air rights from the Hudson River Park Trust to the developer. In 2013, the New York State Legislature, in response to a lack of funding, amended the Hudson River Park Trust Act to allow the Trust to sell unused development rights to properties one block east of the park, subject to City zoning. The developer’s application included a request for the creation of the Special Hudson River Park District which would create a mechanism for the transfer to occur. The Commission’s public hearing functioned concurrently as a significant action public hearing for the Hudson River Park Trust regarding the proposed transfer by sale of 200,000 square feet of unused air rights from Pier 40 to the developer. Therefore, present at the meeting were Pamela Frederick, a member of the Board of Directors who also served as a Trust hearing officer, Madelyn Wils, President and CEO of the Trust, Daniel Kurtz, CFO and Executive Vice President of Finance and Real Estate, Noreen Doyle, Executive Vice President, and Amy Jedlicka, General Counsel and Senior Vice President. Michael Sillerman, from Kramer Levin, testified on behalf of the developer. According to Sillerman, the project would consist of 1.7 million square feet of floor area in total, and would include 1.2 million square feet of residential floor area, 200,000 square feet of retail and event space, 220,000 square feet of office or hotel space, an elevated 20,000 square feet of public open space, and 772 accessory parking spaces. Sillerman emphasized that the development would include 328,770 square feet of affordable housing, including senior housing and both low and moderate income housing. Concerned about appropriate affordable housing, City Planning Commissioner Michelle de la Uz questioned how the ratios of area median income were determined. Sillerman stated that the ratios were developed with the Department of Housing Preservation and Development. The senior site would be at 80 percent area median income. The eastern building in the center lot would be mixed with half at market rate, 30 percent at 130 percent area median income, and 20 percent at 60 percent area median income. Commissioner Cheryl Cohen Effron noted the large sizes of the retail space, most exceeding 5,000 square feet and including a 20,000 square foot space for a grocer. Commissioner Effron commented that it looked more like a mall than anything, and questioned the parking requirements for the larger retailers. Rick Cook, architect for the project, responded that it was intended to be street level storefronts, and that currently the area has no street level activity. Sillerman added that the parking had no particular allocation and would be available to the residents, employees of the retailers and customers. Commissioner Larisa Ortiz noted public concern about large retailers and destination shopping. Accordingly, she questioned the developer’s plans for spaces exceeding 5,000 square feet, which would not work for local amenities such as a dry cleaner. Sillerman testified that there was no specific plan on how the retail spaces would operate. He pushed back, saying that 5,000 square feet is not enough to be big box, and that the developer tried to avoid destination retail. Commissioner Ortiz noted that the Commission tries to encourage walkability, not car ownership or inducing demand by creating parking. Therefore she questioned the need for 772 parking spaces. Sillerman insisted that there would be a demand by the market rate buyers and renters that would be at least that much, especially considering the project’s distance from the nearest subway, three avenue blocks away. Madelyn Wils, President and CEO of the Hudson River Park Trust, spoke in favor of the development. Wils iterated that there were at least 463 steel support piles in Pier 40 in poor condition, and that repair would be required soon to keep the pier open. In response to Commissioner Ortiz’s inquiry about alternative plans for funding, Wils stated that there was no plan B for funds. Gale Brewer, Manhattan Borough President, largely echoed her recommendation released a week prior. Brewer fully supported the creation of the special district and the transfer by sale of the air rights. The funds were necessary to address urgent repairs needed on Pier 40, although she argued that the text amendment should also include a cap to ensure that no additional air rights would be transferred into Community District 2. She did not recommend, however, the approval of the entire application. Brewer argued that the amount, location and design of affordable housing was seriously lacking in such a large project. She also expressed serious concern about the creation of 772 parking spaces, which would use all the allotted parking permitted in the community district and hamper future developments from having appropriate parking. Therefore, Brewer recommended the approval of only one of the three special permits sought for parking. Several members of the Greenwich Village Society for Historic Preservation spoke, including Executive Director Andrew Berman. Berman expressed the Society’s varied concerns. He called the project “ludicrously oversized,” while containing few public amenities. Berman argued that the project would generate huge amounts of traffic. He insisted that the City must move forward with designating the South Village as a historic district. Berman also recommended that the text amendment prohibit future transfers of air rights into Manhattan Community Board 2 and that retail areas be limited to smaller floor space. The Society’s Director of Operations Sam Moskowitz, Program and Administrative Associate Matthew Morowitz, and Director of Development and Special Events Lannyl Stephens echoed these sentiments in their own testimony. Anita Brandt, Chair of Manhattan Community Board 2’s Land Use Committee, spoke on behalf of Community Board 2, which released its full recommendation on July 22, 2016. Among the recommendations presented, Brandt highlighted setting back the building on Washington Street to improve pedestrian and vehicular traffic, shifting the height and density from the north site to the center site, and limiting commercial areas for community oriented businesses. She emphasized that, “Although the project includes 160,000 square feet of retail, the distribution fails to contribute to a lively urban streetscape.” She closed her testimony stating that rezoning was justified only when new uses and increased density contributes to the success of the surrounding area. City Council Member Corey Johnson spoke of his concerns about the layout of the buildings, the amount of parking, the size and location of affordable housing and the proposed inclusion of big box retail. Johnson iterated that he would not approve a project that does not adequately serve the needs of the community which elected him. He stated that the City must make a capital contribution to Pier 40, noting that the immediate needs of the pier, in addition to the $100 million to be gained by the sale, was an additional $21.5 million over the next four years. Johnson voiced his support for an extension of the South Village Historic District south of Houston to ensure the protection of the area for future generations. He also agreed with a prohibition of future air rights transfers into Community District 2. Chairperson Carl Weisbrod questioned whether Johnson had the sense from the State Legislature that they would contribute to the pier in addition to the City, as they have done in the past. Johnson replied that he hoped the State would be interested in doing so, and that he would hate for Pier 40 to suffer because of a potential stalemate over who would contribute first. He asserted that the City should be a leader on the issue and contribute first. Robert Atterbury spoke on behalf of New York State Congressman Jerrold Nadler, and New York State Senators Brad Hoylman and Daniel Squadron. Atterbury thanked the Commission for requiring future air rights transfers from the Trust to go through ULURP for public comments. Noting that the Pier 40 would still need $21 million over the next four years, he strongly urged the City’s administration to include that significant capital contribution in the City’s budget. 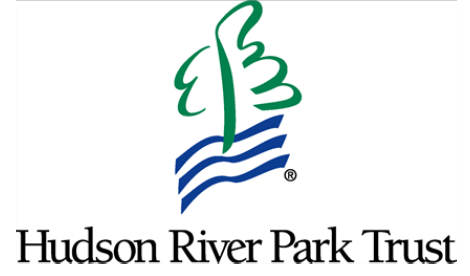 The Hudson River Park Trust has already negotiated a draft purchase and sale agreement with the developer. If the ULURP action is approved by the City, the Trust’s Board of Directors would then vote to consider the sale contract while considering what was said at the significant action hearing. The public comment period for proposed development rights transferred by the Trust will remain open until Sept. 21, 2016. UPDATE: On October 17, 2016, the City Planning Commission voted 11-0 to approve the rezoning of the St. John’s Terminal and the transfer of development rights from the Hudson River Park Trust to the site. In its report, the Commission stated that “no single community should be required to shoulder all resulting development while every adjacent community continues to take part in the benefits offered by the Park and made possible, at least in some part, by the sale of its property.” The Commission noted that the Hudson River Park Act limited transfers to within one block of the Park, which is vastly more restrictive than other development rights transfer mechanisms in the Zoning Resolution, and that future transfers would still require the full ULURP process. The Commission found, however, that it was appropriate to have additional geographic restrictions in the proposed zoning amendment regarding future transfers—namely limiting Park improvements to the same District as the site receiving the development rights. CPC: 550 Washington Street Rezoning (160308-ZRM) (Aug. 24, 2016).